Stadium AdventCup (Esu Xmas Cup) Week 1 – Cocow is the winner! 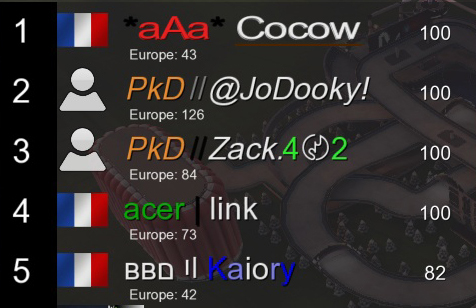 After a close and funny battle between some of the guys, Cocow was able to get the first place in the first adventcup and therefore wins the Trackmania T-Shirt, 10 adventcalendar points and 50k planets! We hope for a great next week of competition on the fullspeed mappack. Thanks for everyone who joined the fun. Unfortunately, this cup is scheudled at the same time as other ESL cups (SPS, CNC, CPS) so there is a massive reduction of players on sunday. ← Stadium AdventCup (Esu Xmas Cup) Week 1 – Qualification has ended!